We all know that our dogs are family. And we adore them as so and want the very best for our canine friends. We want them to live long lives full of love, full of energy and as healthy as can be. We know a vegan diet is incredibly healthy for us as well as our dogs. And we want to be able to treat our dogs to snacks just as we enjoy them. Most dog treats on the market are not fit to be fed to any living being besides the fact that they aren’t vegan. This makes it challenging to find something to feed our dogs that we know is both healthy and delicious. Put your worries aside, we’ve compiled the ultimate list of the best dog treats for your vegan dog! We’ve found the best packaged dog treats as well as great recipes and resources to make your own dog treats. Whichever way you choose to go, any of the options below are excellent . They will delight your pup’s tastebuds while also ensuring they’re living healthfully. 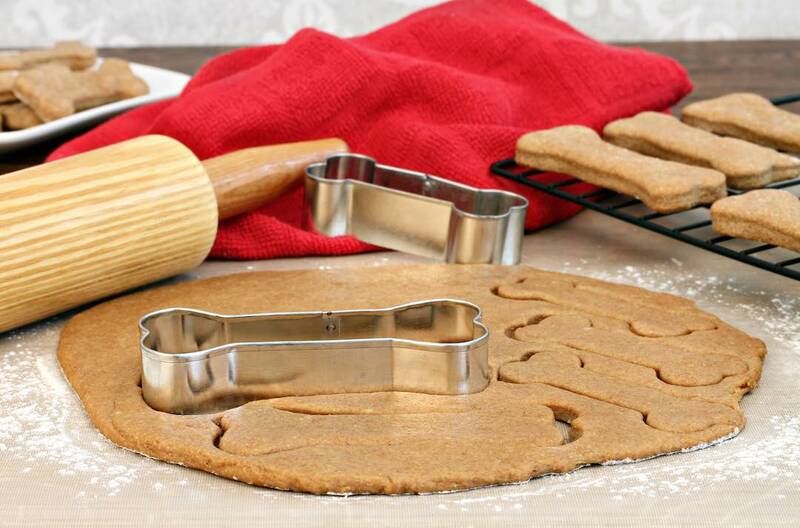 If making dog treats sounds appealing to you, there are a ton of resources available! Just a simple search on google or Pinterest for “vegan dog treats recipe” will provide you with ample recipes to get you started. It’s always best to do your research before diving into a recipe or making your own. This is to make sure you know what foods are good for dogs to eat. There is some grey area with some foods for dogs, foods that aren’t agreed to be one hundred percent safe but also aren’t going to kill your dog or seriously cause them harm or intestinal distress. The following list we’ve gathered includes foods that are generally accepted to be healthy or safe foods for your dog. There's also a list below that is foods that are accepted as definite no no’s. As with all foods, it’s always wise to double check ingredients on anything you buy. This is to make sure the manufacturer didn’t slip in any extra ingredients, such as xylitol. Xylitol is extremely dangerous for animals to consume. Most treats consist of using either a flour or oats, peanut butter, coconut oil and either sweet potato or pumpkin. These make them pretty simple and cheap. It’s easy enough to experiment in your own kitchen with these ingredients in varying quantities. You can add in things like grated zucchini or mashed blueberries or banana. Swapping in things like cooked quinoa or rice in lieu of flour or oats are other great ways to get in different nutrients in your dogs diet. It takes some experimentation and practice. Nonetheless, making dog treats is relatively easy and can be a fun way to pamper your canine friend. On the flip side, you can always take a little bit of cooked quinoa or ground oats and mix them with peanut butter, flax seeds and dog friendly mashed fruit for a quick easy fresh treat. The following are a few of our favorite recipes to make your own exceptionally healthy and decadent dog treats. A good tip is that if your recipe makes a fair amount of treats, more than you can go through in a few days, either bake your treats to make them dry so they can store longer or freeze whatever can’t be used in a few days time. Main Ingredients: Flax seeds, oats, wheat flour, coconut oil and bananas. Notes: If you want to make them wheat-free you can try substituting oat flour or buckwheat flour. You can also try swapping out the Flax seeds and adding in chia for a different array of nutrients while still supplying omega 3s. Main Ingredients: Oats, pumpkin and peanut butter, that’s it. Notes: This is a pretty great state recipe, but if you want to switch it up try substituting cooked sweet potato for the pumpkin. Adding in a handful of blueberries is another great way to change these up while adding more nutrients and giving your pup a new flavor to enjoy. Main Ingredients: This simple recipe includes oats, sweet potatoes and coconut oil. Notes: This is another great super simple and super easy to make recipe. Adding in berries or flax seeds are great ways to add additional nutrients. Main Ingredients: Peanut butter, coconut oil, carrots, flax and flour. Notes: This recipe has an additional glaze to make for your pup . We highly recommend adding it for extra fats and a beautiful coat. You can always swap in sweet potato or beets for the carrots if you’re looking for different options or want to rotate foods and nutrients. We totally get it, sometimes convenience rules our busy lives. Or perhaps you want to buy treats because you don’t like making food. Or you want to leave it to the professionals to ensure your dog has the best, most healthy, high quality treats that meet his nutritional needs. 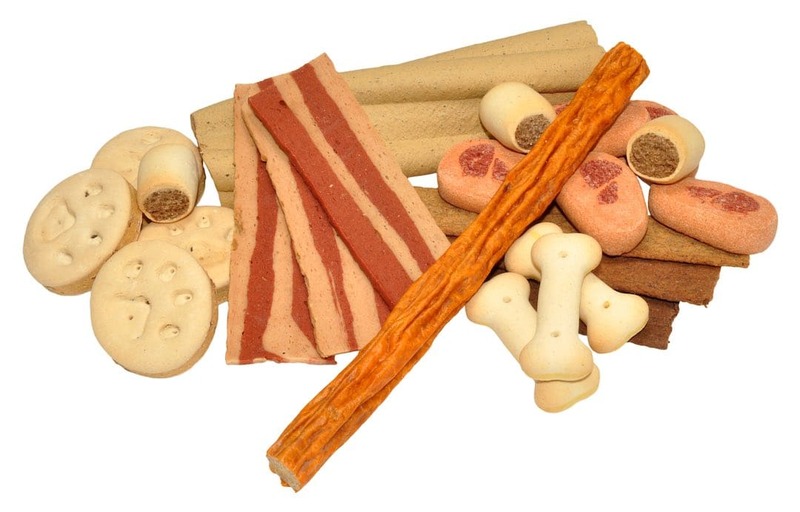 Whatever your reason, the following list is the best of the best, the highest quality dog treats available online. They’re all made with integrity, great ingredients and are truly affordable, making them the perfect go to grab snacks when you want to treat your sweet pooch. Specifics and Ingredient Highlight: With ingredients such as oat flour, peanut butter, flax seed and pumpkin, you know your pup will love these treats. And you can feel great about them too! High in omega fatty acids, these are sure to make your dog’s fur shine. Why We Love It: These treats are free of corn, soy, preservatives, and are high in protein, making them a great way to ensure your pup is getting all the protein he needs while also indulging in a delicious treat! The protein in this treat also contains all ten of the essential amino acids dogs need. This makes it a truly smart and ideal choice! Specifics and Ingredient Highlight: These treats are made mostly of coconut flour, garbanzo flour and peanut butter, making them fatty, full of fiber and protein, and still absolutely delicious for your canine friends. Why We Love It: This company uses all vegan, mostly organic and gluten and grain free ingredients, making them a gem for those who want the highest quality without adding in extra carbs or grains that your pooch may be sensitive to. As an additional hurrah, for those who don’t like waiting or need the treats in a hurry, they’re available on Amazon Prime! Specifics and Ingredient Highlight: With only seven ingredients including organic blueberries, organic kale and organic coconut oil, these treats are oh so healthy. Your pup will surely love the rich coconut flavor! Why We Love It: They’re USDA organic, and grain free, with very minimal yet extremely healthy ingredients. What isn’t there to love? This company makes outstanding vegan dog products. 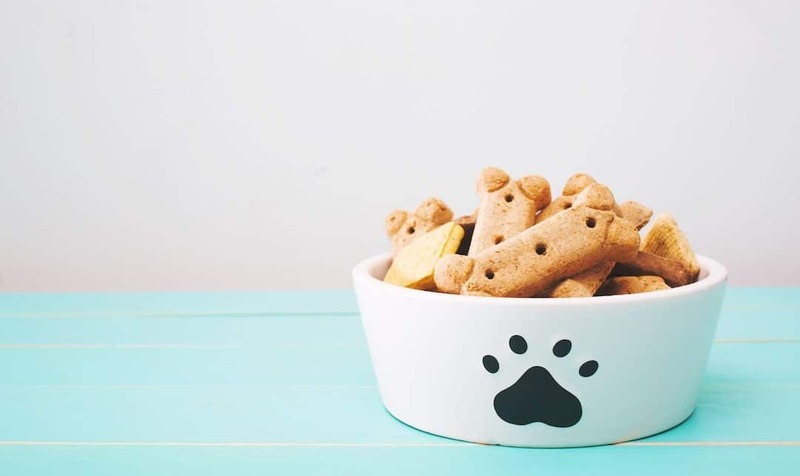 These treats are an exceptional choice for those who want to have something quick and easy to give their pet without feeling guilty that it’s overly processed. There’s also a peanut butter flavor available as well as breath bones, providing plenty of options for all your dogs needs and preferences. Specifics and Ingredient Highlight: The ingredients in this box vary greatly as it’s a sampler. They include four different treats of their choice, with six to twelve pieces of each. Why We Love It: This shop is dedicated to making the healthiest all natural, vegan and gluten- free dog treats that are free of any weird or unhealthy ingredients as well as allergens such as soy, corn, salt, sugar, dairy or preservatives. Not only are they already healthy, but they also gladly accept custom orders for pets with sensitive stomachs and other allergies. So your pet that can’t have rice? Or perhaps gets sick when beets are used? No problem! Something this healthy and customizable is hard to come by, yet is such a worthwhile affordable option.